Former Van Halen bassist Michael Anthony is mourning the death of his infant grandson, Rex, at just two weeks of age. After the family removed him from life support, Rex passed away on April 4. The bassist is sharing news of his family’s loss and their efforts to raise funds for the hospital in Rex’s name. “I am doing the ‘Walk L.A.’ in June for Children’s Hospital L.A. with our families to give back a little to the hospital that did so much for my grandson and other children that come here,” Anthony explains. The rocker is encouraging others to participate in the June 17 event while he and his family are hoping to raise $10,000 in donations to benefit the hospital. To donate to Michael Anthony’s Walk L.A. fundraising page, click here. 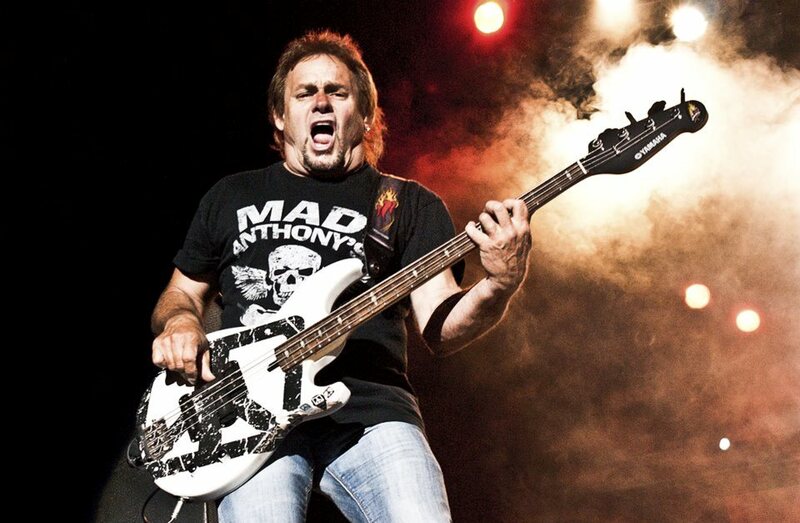 A member of Chickenfoot and The Circle, Anthony recently revealed that he is open to the idea of reuniting with the classic Van Halen lineup for a possible 40th anniversary tour in 2018. The bassist joined Van Halen in 1974 and appeared on the group’s albums and tours through 2004, when he was removed from the lineup by guitarist Eddie Van Halen because he remained friendly with Sammy Hagar after the singer’s stint in the band. The guitarist’s son, Wolfgang, has been handling bass duties in Van Halen ever since.